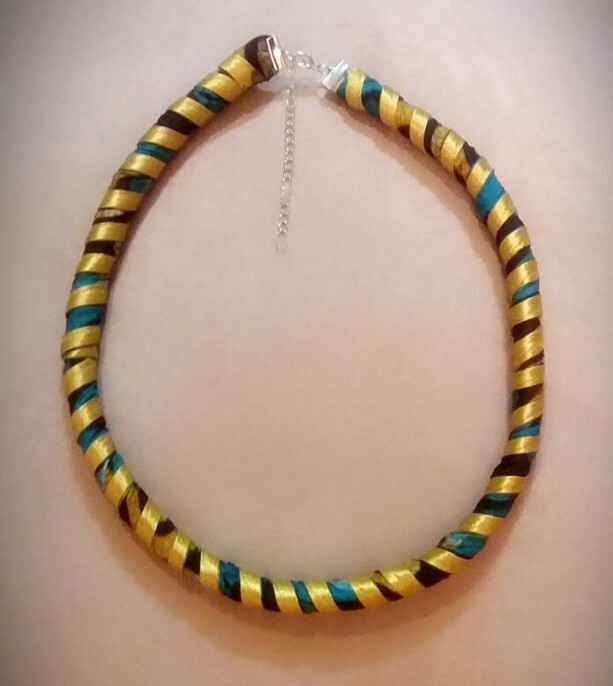 This stunning African rope necklace is handcrafted from 100% cotton African fabric (Tribal, Boho, Ethnic, Ankara, Kitenge, Chitenge). 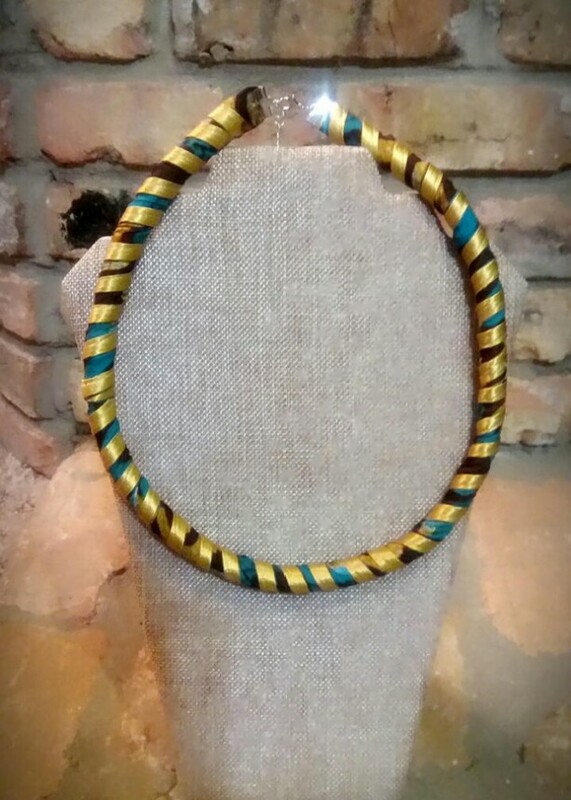 This gorgeous necklace is versatile and adds a beautiful touch to any wardrobe. 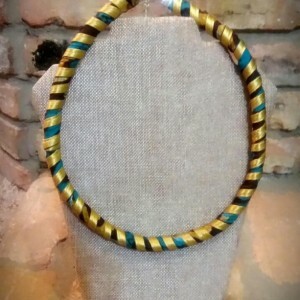 This fabulous necklace can be worn with any outfit. You can dress it up or down, casual or classy... 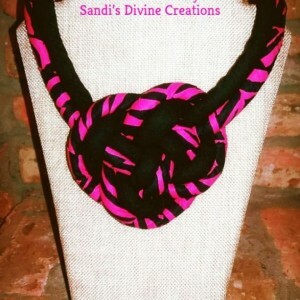 The fabric necklace is approximately 23.81” (60.5 cm) with a 3" extension chain. The necklace has an adjustable lobster closure. 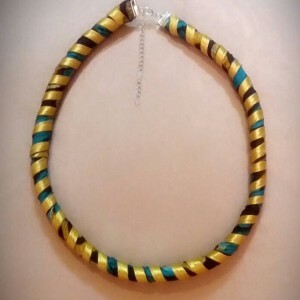 => Quantity: 1 African Rope Fabric Necklace. CARE: This necklace is made from fabric. Store in a dry place, in a jewelry box, pouch or ziploc bag. Remove jewelry before going to bed, taking a bath or shower, swimming or exercising. In case of dirt or sweat use a dry cleaning kit to clean. NOTE: The images may appear lighter or darker depending on your computer monitor resolution. Your business is appreciated. I am willing to work to resolve any problems. If you have any questions, please do not hesitate to contact me before leaving any feedback.